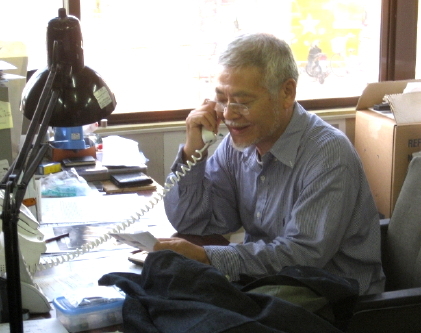 At right: Miura-san at his desk at the Air Tight factory in Takatsuki, Japan. 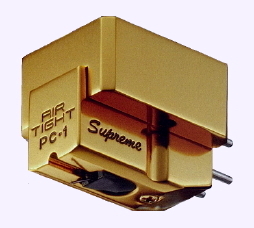 On the left: His flagship phono cartridge, the Air Tight PC-1 Supreme, which many are calling "the best in world". Miura-san, the founder and visionary behind Air Tight, is a die-hard analog fanatic (just like we are!) 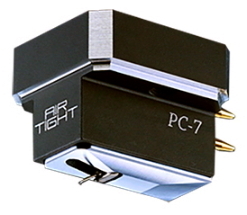 and long-time LP collector, so it was somewhat inevitable that Air Tight would eventually offer their own phono cartridges. After 20 years of research and development, the PC-1 (now PC-1s) was born, soon followed by the PC-1 Mono. The original PC-1 was both a critical and commercial success from the start, and why not? Spectacular sonics, amazing transparency, and truly holographic image presentation will make people sit up and take notice, particularly when the pricing is kept. to relatively sane numbers. But Miura-san couldn't leave it alone. 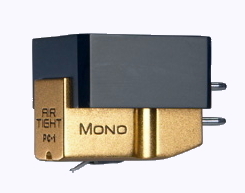 His love for the special sound of original mono recordings led him to the PC-1 Mono (above right), purpose-built to retrieve the most music possible from monaural LPs. A lot of cartridge designers would be content with the stream of accolades that Miura-san received, but he, once again, felt he could do more. The results you see at top left and bottom left: The PC-1 Supreme, which has sent dozens of audio writers scrambling for their Roget's in search of superlatives (like being lauded as the finest cartridge ever made), and the PC-7, (seen left), a more affordable entry into Miura's lineup that gives up surprisingly little in terms of performance compared to its more ambitious siblings. Miura-san's latest triumph? The all-new Opus 1. 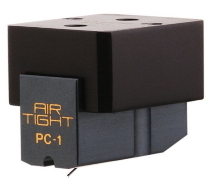 All of the Air Tight cartridges are highly, highly recommended by The Tweak Shop. As always, call us to help you in the decision process so we can make sure you buy the right cartridge for your specific needs.